Beach baby!!!!! She is so cute! I love both of these! What a great print! Both are super cute, great use of the fabric I think (print pants arent really my thing)! Ummmm I've actually vacationed at Myrtle Beach probably cause I have family in South Carolina. I love the two new pieces and the fact that you're managing to squeeze some sewing time in. Baby Jane is gorgeous!!! Aww happy holidays! Quite jealous - here in the UK we don't break for another month! Maybe you go back sooner? Anyway, love the laid back vacay gear. I look terrible in shorts so the skirt would always get more wear with me, but having said that shorts are much more practical for an active beach holiday. Looks as though you had some fun! Thanks! I'm sure we go back earlier-- we go back mid august this year :( That's way too early! We go back Sept 3rd. I think you get longer than us! Perhaps we have more holidays the rest of the year. I love your shorts and skirt! I have to add this pattern to my stash. 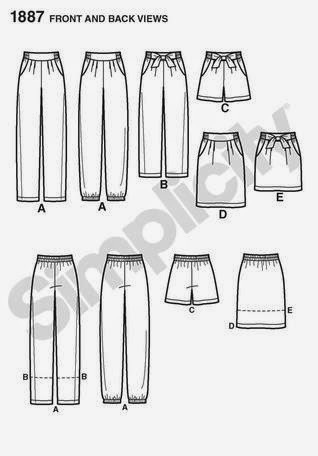 It is so nice to have a great shorts pattern and what a bonus for there to be a skirt that you like as well. I haven't been to a sandy beach in years. I hope when we get orders (to the states) that it will be very close to a beach. I am hoping for the East Coast. I was born in Florida, so that would be nice too. I was really pleased with the pattern. It seems to be a winner! These are both the perfect beach wear!!! I love both the fabric choice and the sweet patterns you're using. They look so casually chic! And I love the beach photos too.... I'm a sucker for anything with the sea in plus cute baby?! Winning shots!! Oh, what a happy little baby! 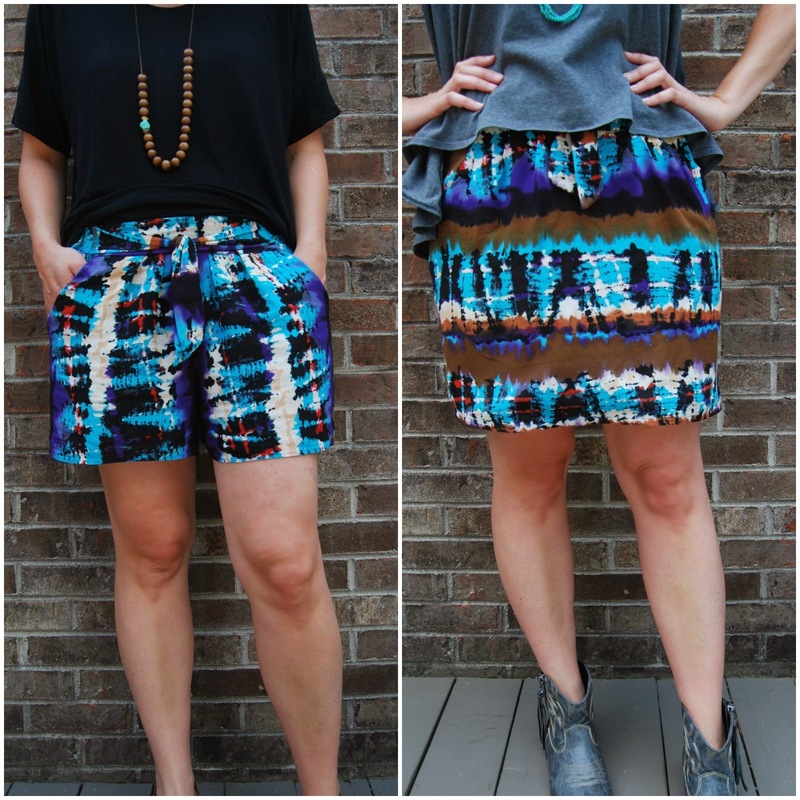 Your shorts just made me want to speed up my sewing so I can get to my planned viscose shorts asap! Yours look so comfy. that's one really cool print! would look great as pants, but it's even better this way, cause now you have two really cool garments instead of one! 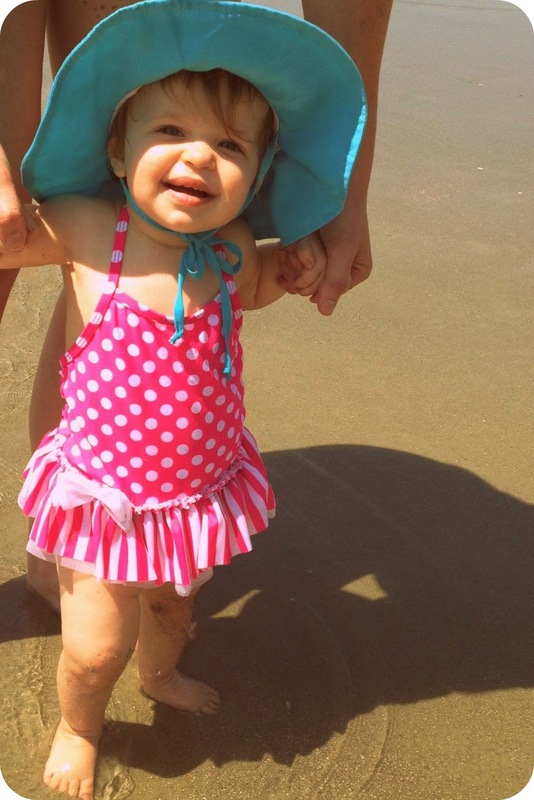 Look at that sweet beach baby! 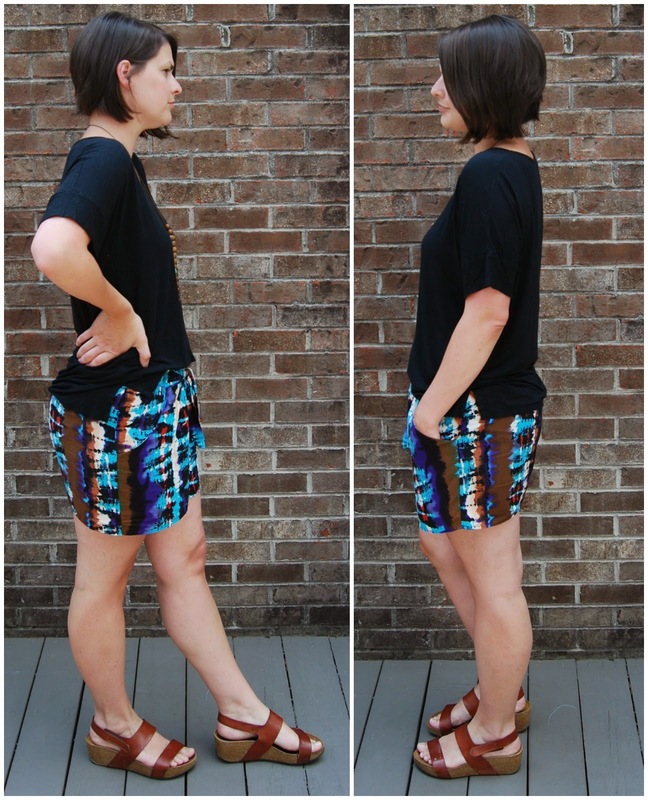 Your shorts and skirt are really cute--that looks like a great pattern with all those options. Look at all that sweetness! Baby Jane is just too cute! Ah, baby Jane is just gorgeous. The shorts and skirt are pretty good too! I love the way even though they're made from the same fabric they look quite different. Good thinking using the stripes in opposite directions on each piece. Thanks! I did find that print at Joann's! I was excited when I found it. I ordered the sandals from Amazon last summer. The brand is Lola Sabbia by Eric Michael and they are awesome. I wear them non-stop! i love this fabric! i used it to make a drape-y top for my daughter last fall, and it was a big winner. love how you used it, looks perfect for the beach! Very cool. I'm digging both of these with your circle tops. What fabulous fabric! So summery and fluid looking.